Two new instruments created to assess perceptions of Science, Technology, Engineering, and Math (STEM) disciplines and careers are analyzed and found to have respectable to excellent internal consistency reliability, as well as good content, construct, and criterion-related validity for the areas assessed. Cronbach's Alpha for the individual scales on the STEM Semantics Survey and the STEM Career Interest Questionnaire ranged from .78 to .94 across the eight constructs represented. These were judged to be acceptable to assess anticipated changes resulting from MSOSW ITEST project activities, and are believed to be worthy of use by other ITEST projects. Tyler-Wood, T., Knezek, G. & Christensen, R. (2010). Instruments for Assessing Interest in STEM Content and Careers. 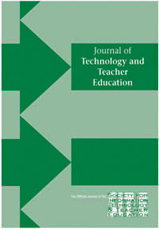 Journal of Technology and Teacher Education, 18 (2), 345-368. Waynesville, NC USA: Society for Information Technology & Teacher Education. Retrieved April 17, 2019 from https://www.learntechlib.org/primary/p/32311/. Bowdich, S. (2009). 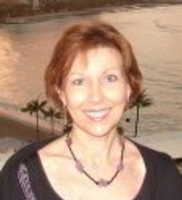 Analysis of research exploring culturally responsive curricula in hawaii. Paper presented to the hawaii educational research association annual Conference, February 7, 2009. DeVellis, R.F. (1991). Scale development. Newbury Park, nJ: sage Publications. Friedman, T.L. (2005). The world is flat. New york: Farrar, straus, & Giroux. Knezek, G., & Christensen, R. (1998, March). Internal consistency reliability for the teachers’ attitudes toward information technology (TaT) questionnaire. In Proceedings of the Society for Information Technology in Teacher Education Annual Conference (Eds.) S. Mcneil, J. Price, S. Boger-Mehall, B. Robin, & J. Willis, pp. 831-836. Bethesda, Md: society for information Technology in Teacher education. Knezek, G., Christensen, R., Miyashita, K., & Ropp, M. (2000). Instruments for assessing educator progress in technology integration. Denton, TX: institute for the integration of Technology into Teaching and learning (iiTTl). Lubinski, D., & Benbow, D. (2006). Study of mathematically precocious youth after 35 years: Uncovering antecedents for the development of math-science expertise. Perspectives on Psychological Science, 1 (4), 316-345. Magid,L. (2007) Putting energy hogs in the home on a strict low-power diet. New york Times, June 14, 2007. Meyer, G. R. (1995). Scientific orientation Test, in The eleventh measurements Yearbook (Vol. 11, pp.32-66). University of nebraska: Buros institute of Mental Measurements. Novodvorsky, I. (1993). Development of an instrument to assess attitudes toward science. (doctorial dissertation, The University of arizona, 1993) Dissertation Abstracts International, 54, 4054. Rogers, B. G. (2007). Review of the scientific orientation test, in The seventeenth measurements Yearbook (Vol.17, pp. 153). University of nebraska: Buros institute of Mental Measurements. Ross, J.P., & Meier, A. (2000). Whole-house measurements of standby power consumption, in Proceedings of The second international Conference on energy efficiency in household appliances, naples, italy (september). Whitfield, A., Feller, R., & Wood, C. (2008). A Counselor’s guide to career assessment instruments, Broken arrow, oK: national Career development association.